In this article you will find all general requirements for each social network. 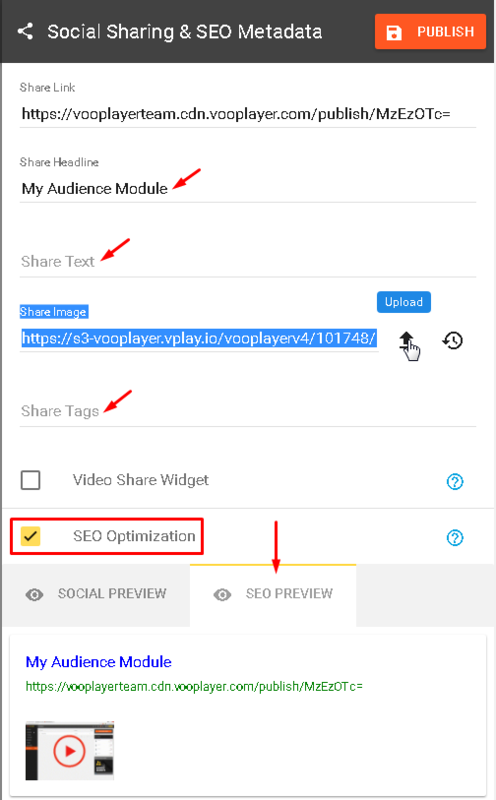 This information you need to manually put inside the vooPlayer for Social Sharing feature in order to check SEO Optimization button. If by any chance your settings do not fit the requirements for some of these below, then your viewers will not be able to share your specifically designed post, instead, they will share your video but with default thumbnail or description.